Our butlers will mix your favourite cocktail, serve food, participate in party games & help clean, all while being a true gentleman at your social event in Australia. Why not book a butler or two to start your night off. Whether that’s for pre-going out drinks whilst getting ready or for an evening get together with your closest gal pals. 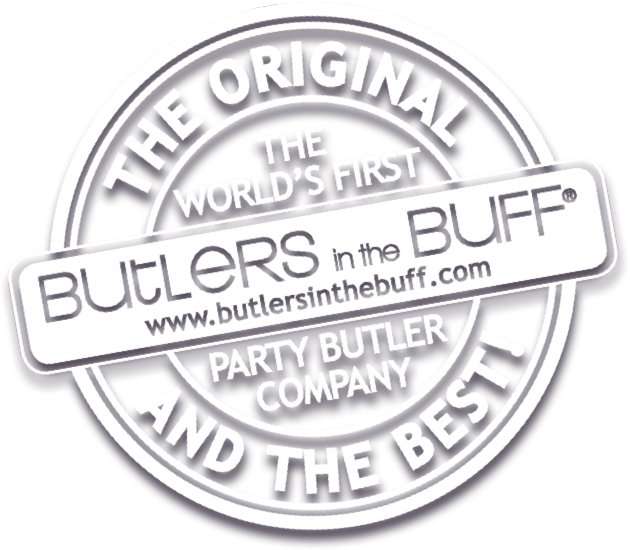 Butlers in the Buff are an excellent way to get your party in the mood for the best night ever! You don’t even need an excuse book a butler for just a girls’ night – it will make you the best friend around! Whether it’s a 21st or 30th, 40th, 65th or even 90th, Butlers in the Buff make a great surprise gift at the party! 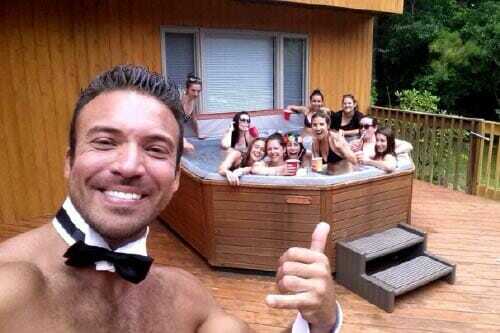 A gorgeous Butler in the Buff is a fun, unique way to spoil the birthday girl or guy and wow guests. Have him appear with a glass of champagne for her or a favourite cocktail. Or for extra wow factor at a surprise party…have friends surprise her in one room then lead her to her butler! All our butlers are hand-picked to be charming, approachable, fun and hot! No problem! Our butlers are the perfect accessory for party games. they can host or be fully involved in your party games. We have lots of party game ideas here! Spoil someone special with a Butler in the Buff to serve the Mimosas and Caesars on a Saturday or Sunday morning as the perfect surprise before a day together at the spa or as a accompaniment to a special bridal shower brunch! If you are staying in a hotel, why not order room service in the bride’s room and have your Butler in the Buff knock on the door and present her with her breakfast! All you need to do is buy the croissants, orange juice or even champagne! Why not choose one of our great packages are have a top waiter serve you on board a catamaran cruising out to sea off our amazing coast or around Sydney Harbour. Have you a special co worker or employee/employer who is celebrating their birthday at work? Go the extra mile with a handsome Butler in the Buff to present and cut the cake, serve your coworkers a special lunch or just pamper the birthday girl! Please note that all public locations require the boxer shorts or black dress pants outfit. Butlers in the Buff are the perfect poolside party accessory! Have all your drinks bought to your group poolside by a toned, tanned gorgeous hunk. He’ll take on all cabana boy duties too or man the BBQ for a grilled lunch or dinner. Perfect for the at home pool party! Please note that all public locations require the boxer shorts or black dress pants outfit. Our butlers are the perfect addition to charity events. Over the years we have had some great success stories from fundraising events that our butlers have attended. Have a look at some previous charity events here. Our butlers are great as raffle prizes and auction gifts. They can assist with selling raffle tickets and drumming up support, or simply serving dessert as a treat for the guests, and they really get guests donating stacks of cash. We allocate a certain amount of our budget to charity work each month so please get in touch and we’ll see how we can help. As much as we would love to donate butlers to everyone who asks, we can’t. But we can offer special charity rates.